I was eyeing a t-shirt to revamp and before making yet another t-skirt I decided to try to make shorts out of it instead because it gets really hotand muggy here in the summer so even if I wear a skirt I'd wear shorts underneath - no amount of cornstarch between my thighs can keep me from getting uncomfortable in the heat. Sorry if that's TMI. After consulting Generation T to no avail, I decided to wing it. It was a lot easier than I thought! For the first pair I tried I used a t-shirt that wasn't oversized on me and that pair ended up fitting me too tight that I gifted them to my daughter. 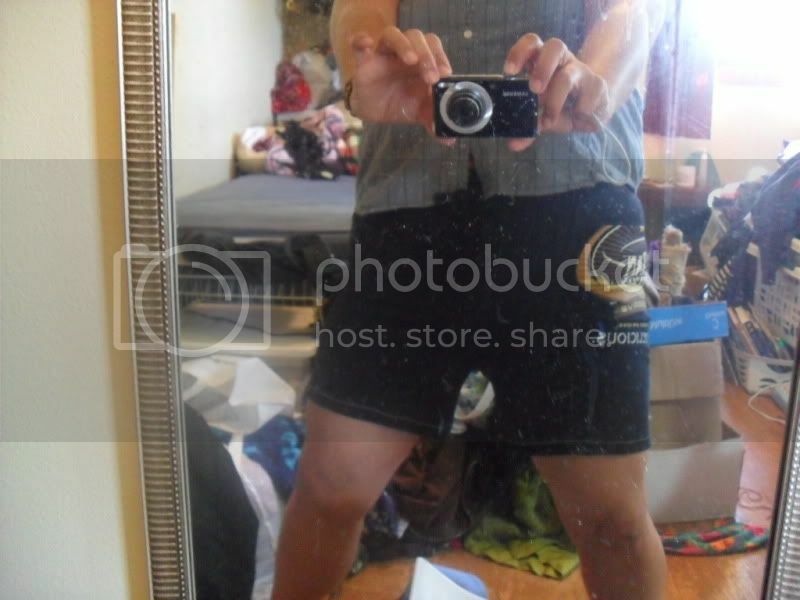 For the second try I used a shirt that was more roomy, maybe a size or two big on me.For reference, I'm about a size 16-18 and used a mens XXL t-shirt to make these shorts that fit just right, leaning more towards the snug side than being loose like pajama bottoms. 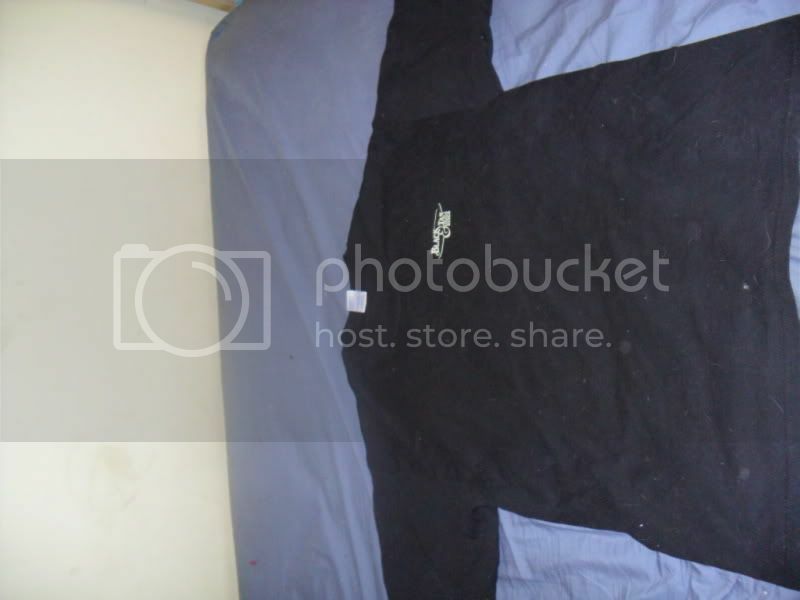 I decided on a drawstring but you can use elastic instead if you want, or even if you didn't add anything to cinch the waist band I would think they would still fit fine, t-shirt material is easy like that. I took pics as I went so here's my tutorial! 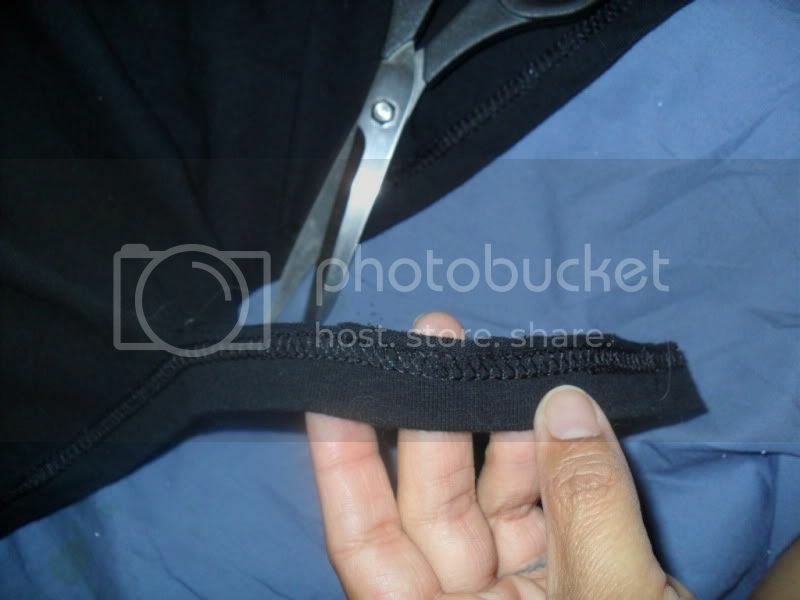 Step 1: Cut the bottom hem off in one long piece, making sure that it stays folded over and sewn. 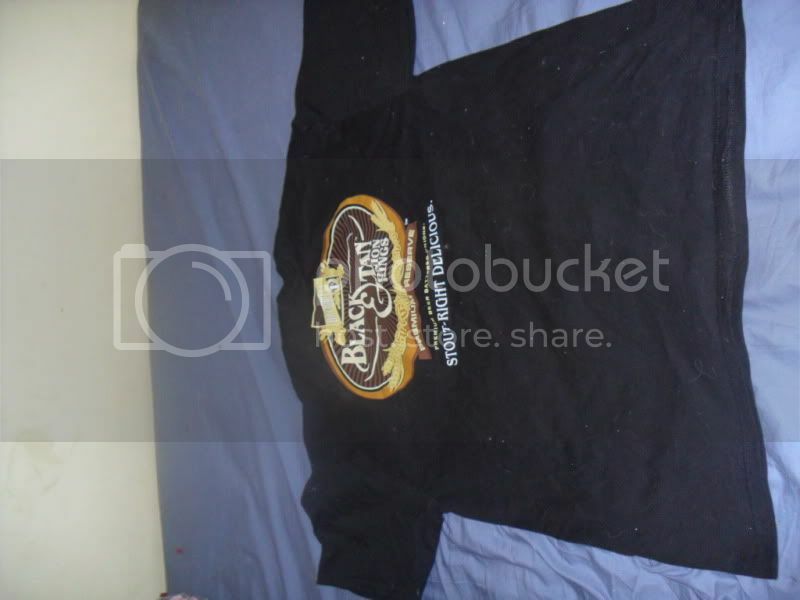 Set this aside to use it as the drawstring. 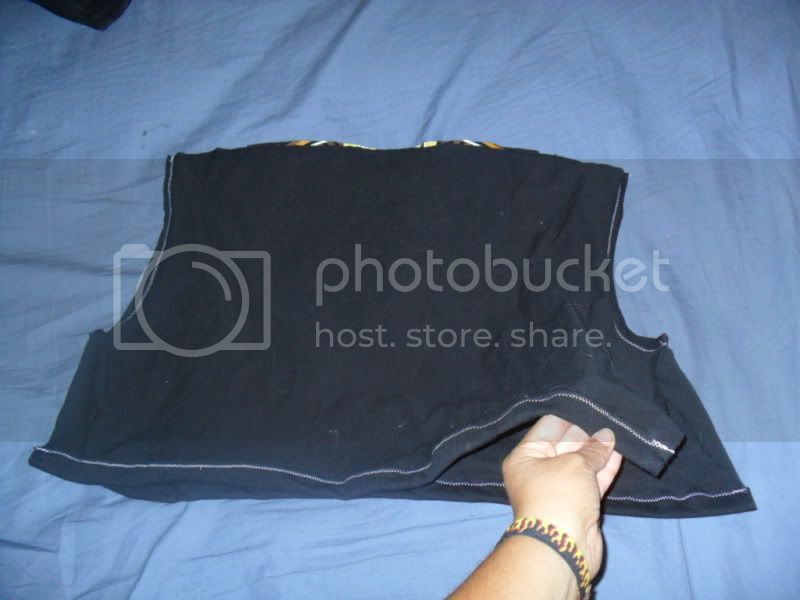 Step 2: Turn the t-shirt inside-out and cut off about 5 or 6 inches high from the bottom. This will later become the waist band. 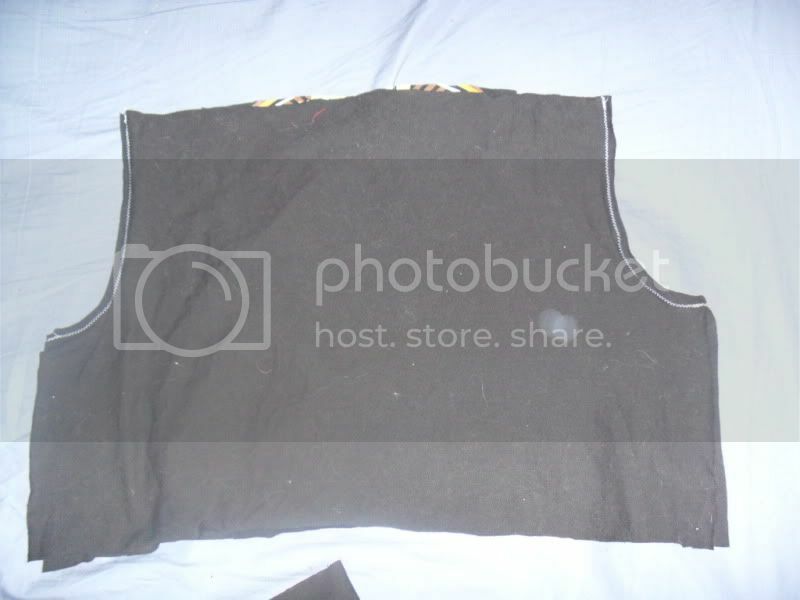 Cut straight across the chest as much as you can (I'm salvaging the neck band intact to use for other projects like if I want to put a black neck band on a white shirt) and cut the sleeves off on the inside of the sleeve seam but a little in, so the curve is deeper. Cut the sides of the shirt apart from the armpit down. Step 3: Sew the areas that were formerly the sleeve holes closed just around the curve. Stop there. Don't go all the way down to the bottom of the shirt. 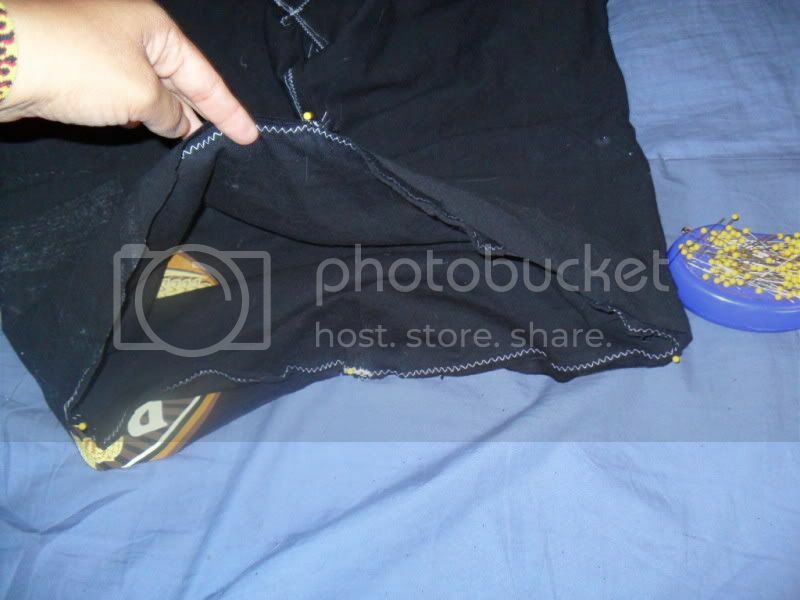 Step 4: Use this opportunity to sew the bottom hem of the shorts up. It will be easier to do it now while it's flat than later when the legs are sewn together. Step 5: Match up the sewn seams where the sleeves used to be, which will now be the front and back center of the shorts. 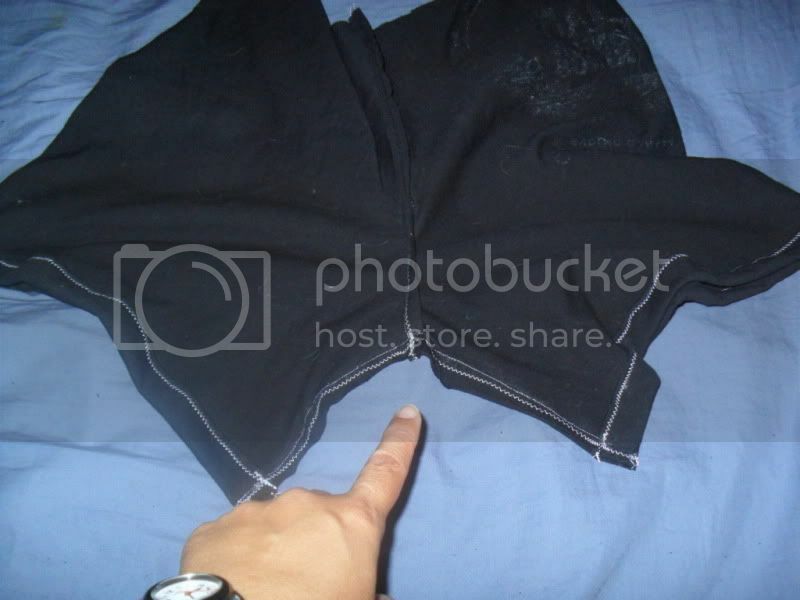 Sew the crotch of the shorts from one bottom end of the leg up to the center point and around to the other side. 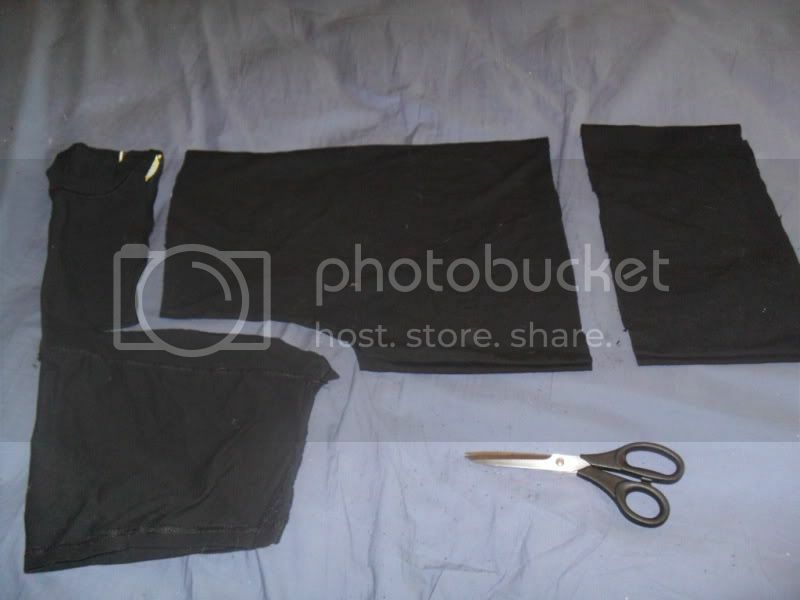 Step 6: Take the 5 or 6 inch tube you cut off the bottom of the shirt and cut it to the same size as the waist of the shorts, plus a little extra for seam allowance. Eventually the waist band will be two ply, folded in over and sewn onto the top of the shorts. 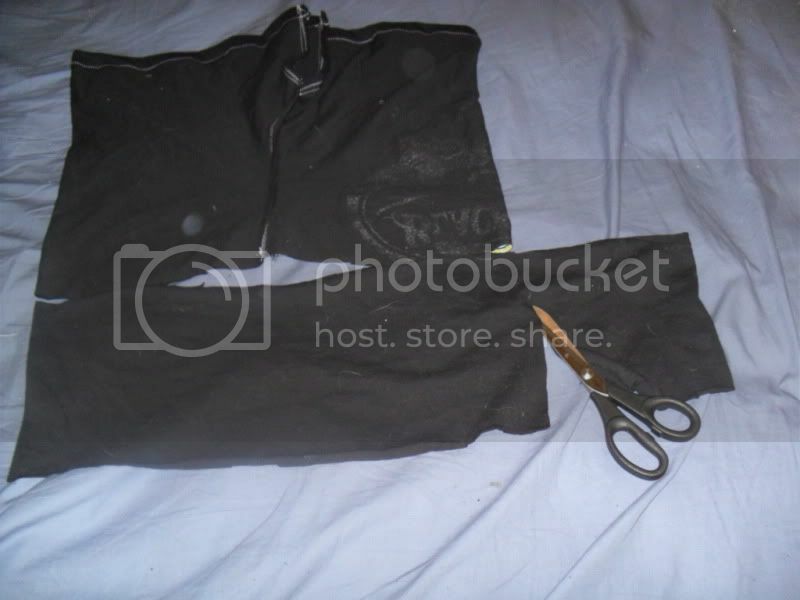 Step 7: The next thing to do will be to make two holes for the drawstring to come out. Mark the center point left-to-right then plan for your holes to be about a half inch from this on either side, just one one half of the the strip vertically - like if your waistband piece is 6 inches tall then the holes will be about 1.5 inches from the unfinished side. I sewed two small buttonholes to finish the edges of the holes. You could also use grommets or just not do any finishing here at all, it would probably be fine because t-shirt fabric won't unravel much. 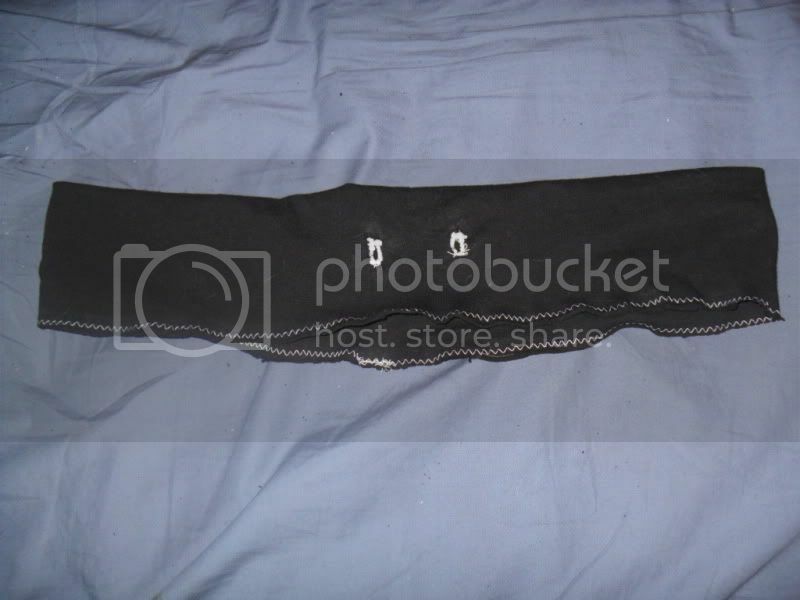 Step 8: Sew the waist band piece into a long tube, fold it in half with the right side out, and sew the open edges together just so they won't move around on you when you're attaching it to the shorts. If you'd rather pin it in place you could go without sewing it closed, but I prefer to sew with fewer pins so I sew it first to make sure I don't miss any layers. 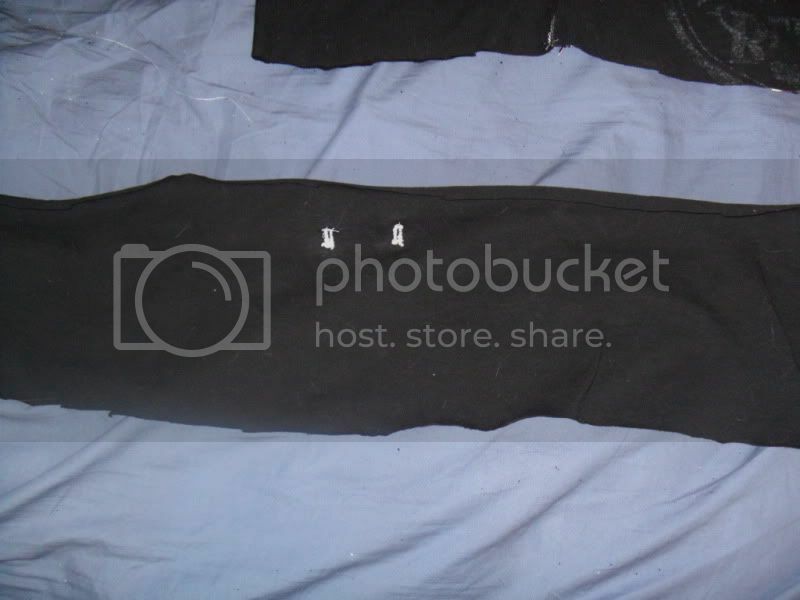 Step 9: Make sure the holes of the drawstring are facing the right side of the front of the shorts and they're centered and all, and that the back seam of the waist band lines up with the back seam of the shorts, then sew the waist band on. 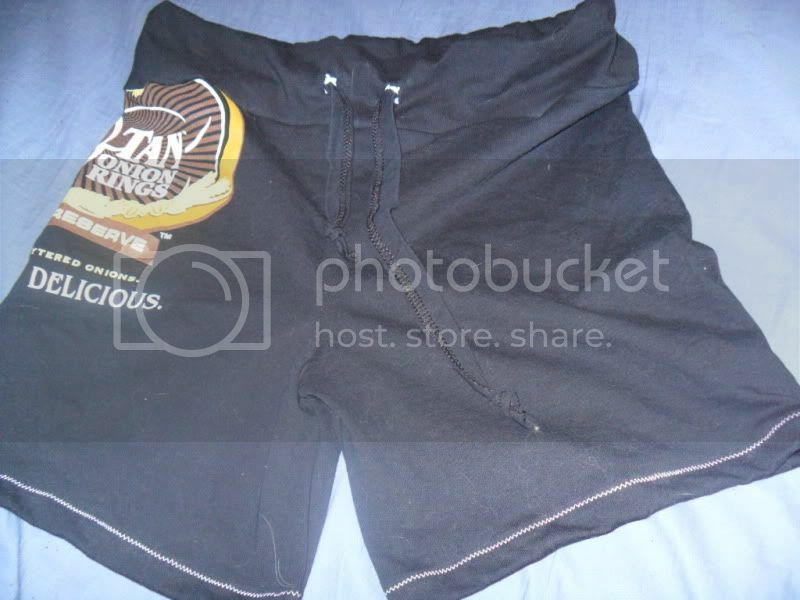 Step 10: Turn the shorts right-side out and use a bobkin/safety pin/your weapon of choice to feed the drawstring through the holes. Tie little knots in the ends of the drawstring and you're good to go! hey, wait! I can make that?! those look wicked comfy, i'll have to try making some. thanks for the tute! You're welcome. I'm so excited about these. They are super comfy and it only took about a half hour to make them. These are actually pretty cute, and they look really comfy. I think they'd be great for working out, too. I'm going to bookmark this and hopefully try it one day. (: Thanks for the tutorial. Looks comfy! I'll have to try it sometime. Added to my pile of stuff to try. Ty. Using the excess bottom material as a waistband is simply genius. I fussed with the sleeves on my last try... lots of fussiness! Great pictures and descriptions, very clear and concise.